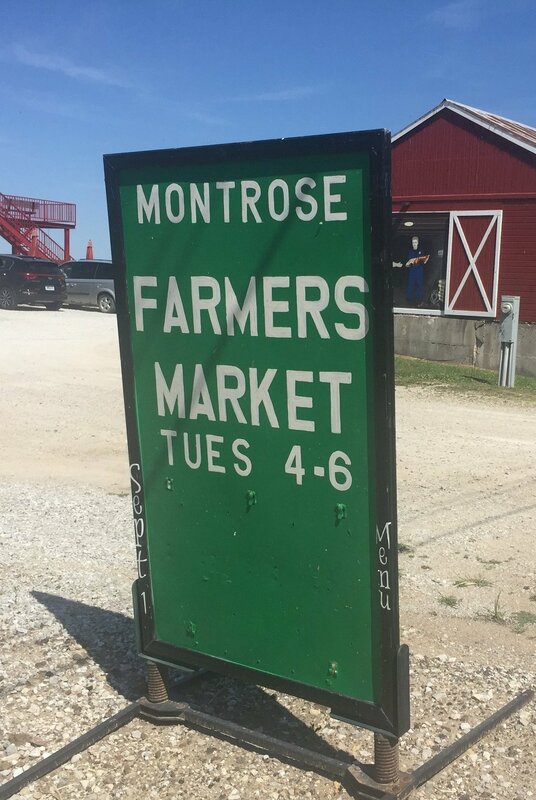 The Montrose Farmers Market is known for offering a dinner option on Tuesday nights during market hours, 4-6 PM. On the menu on July 11 were veggie tacos. A couple of gals from the Iowa State University Extension and Outreach Local Foods team in Southeast Iowa (Morgan and Thomata) helped out with the event. They sourced locally grown zucchini, cilantro, sweet corn, tomatoes, garlic scapes, onions, and peppers to fill whole-wheat taco shells that were grilled on-site at the market. 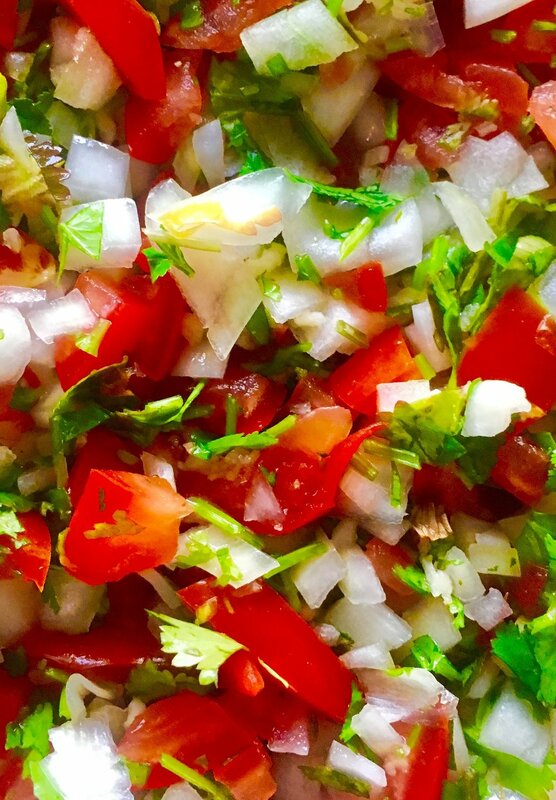 Below are the recipes for the fillings used in the tacos. A majority of the ingredients can be found at your local farmers market! Bring the water to a boil; stir the butter and rice into the water. Cover, reduce heat to low, and simmer until the rice is tender. Stir the lime zest, lime juice, and cilantro into the cooked rice just before serving. Add salt to taste. Combine the corn, black beans, jalapeño, and garlic scapes in a large bowl. Add salt and pepper to taste. Toss zucchini with olive oil, cumin, pepper, and salt. Arrange zucchini in a single layer on a baking sheet. Bake 15 minutes or until golden brown and tender, tossing halfway through. Combine ingredients in a serving bowl. Add salt and pepper to taste. 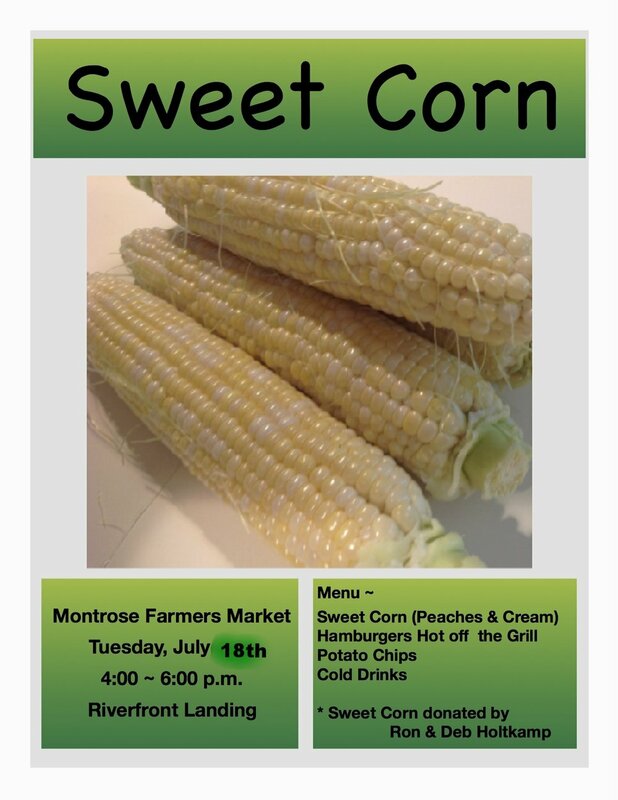 Sweet corn is on the menu for next week!